Strong, clean lines give the Andora shower screen a classic glamour that will stay looking fresh. With 8mm AllClear coated glass throughout, the side panels reduce splashing and make for effortless cleaning. The Andora is a classic shower screen that is as functional as it is elegant. It is available in both frameless and semi-frameless models and sports an impressive silver finish. 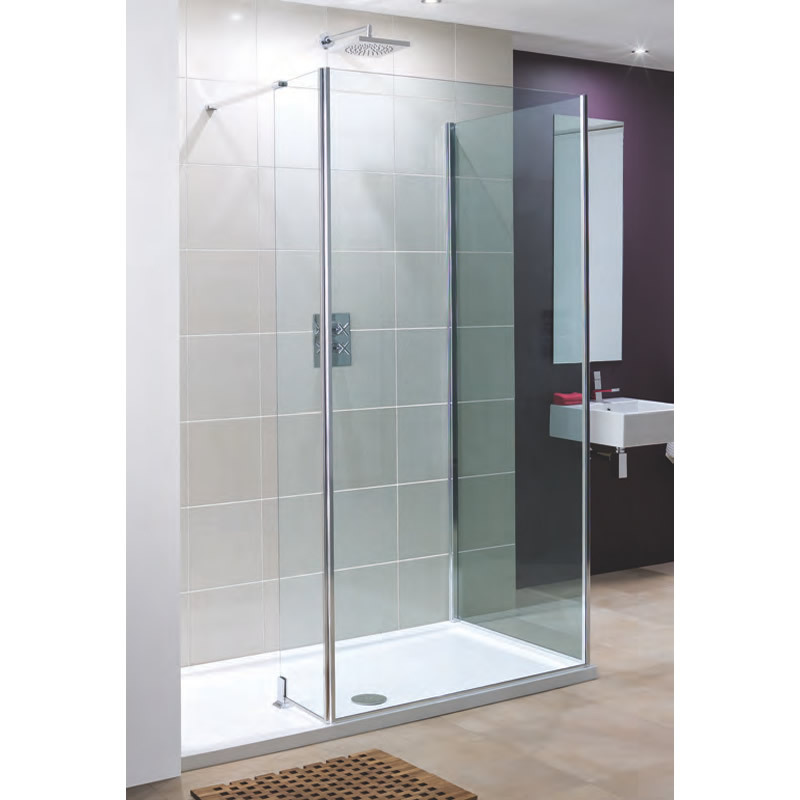 This shower screen is suitable for use both as a walk-in shower enclosure or a corner shower enclosure. 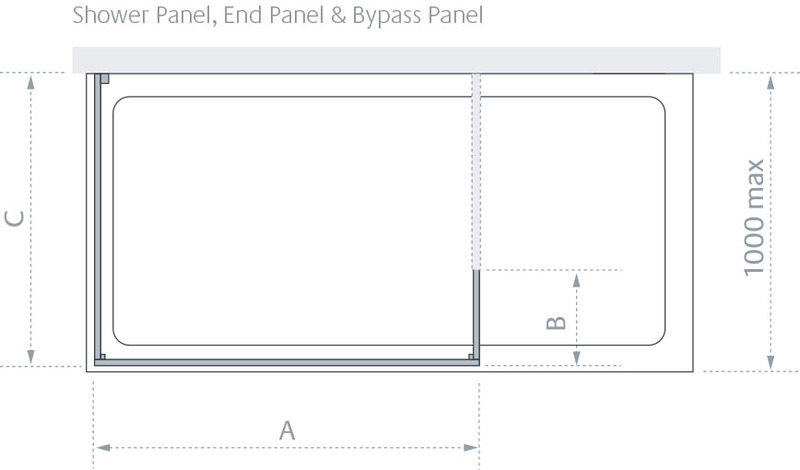 This shower screen consists of three parts – a shower panel, an end panel and a bypass panel. When put together, these panels can create the perfect shower enclosure. 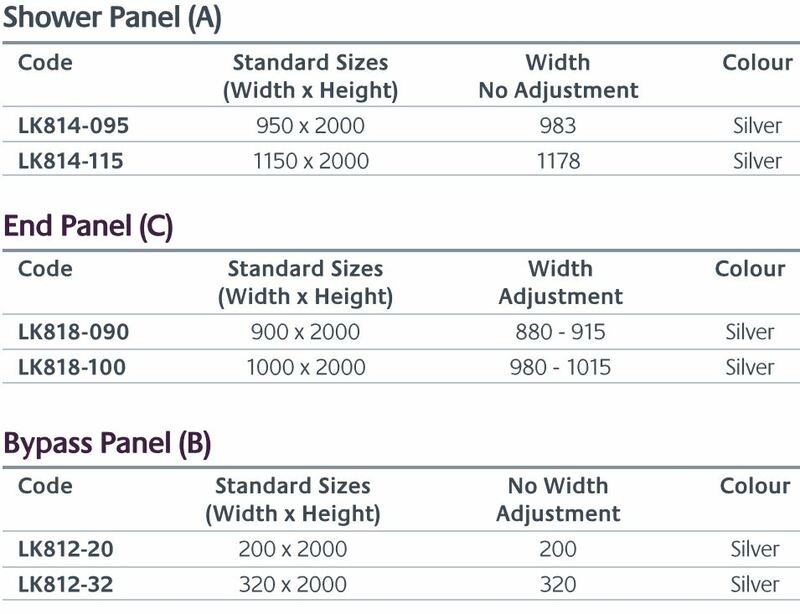 The panels are fully reversible and are designed to minimise splashing. 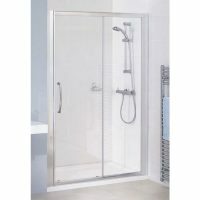 A bracing arm is included and extension profiles are also available for the shower panels. This shower screen measures 2m tall – high enough to suit any bathroom. It features toughened 8mm glass with an AllClear coating, which allows effortless cleaning. The tray or wet room of this shower panel is well protected by the glass. The Andora shower screen is a superior grade product manufactured by Lakes Bathrooms. For this reason, this shower screen is covered by a lifetime guarantee. 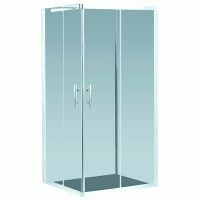 Buy the Andora shower screen at the lowest price from us at Ross’s Discount Home Centre. We also offer free delivery across Perth Metro and offer a 14-day money back guarantee on this product. So, make your purchase today! Please Note: To create your Andora shower enclosure you will need to select one product from each table. Standard bracing arm supplied with product.